Common spaces such as living room to ensure the rabbits get constant interaction with the family. Bedroom may be noisy for the light sleepers while kitchen may not be hygienic due to fur shedding. Space should also be shaded and away from sun and rain. 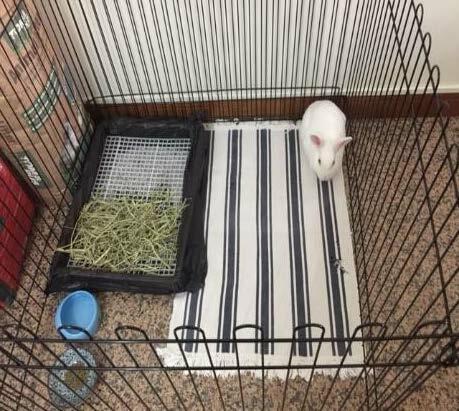 Minimum 4-piece playpen (measure 1m x 1m) for one rabbit and minimum 6-piece playpen (measure 2m x 1m) for two rabbits. 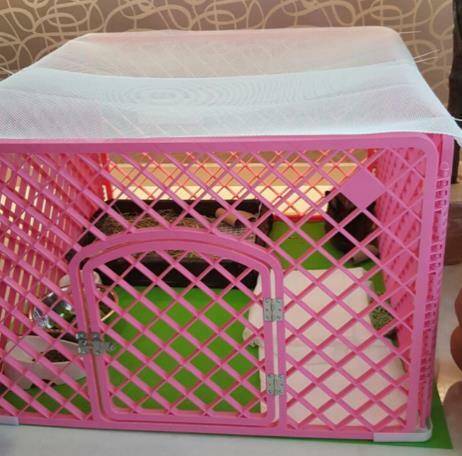 We typically recommend metal playpen but plastic ones will be suitable for non-chewers. 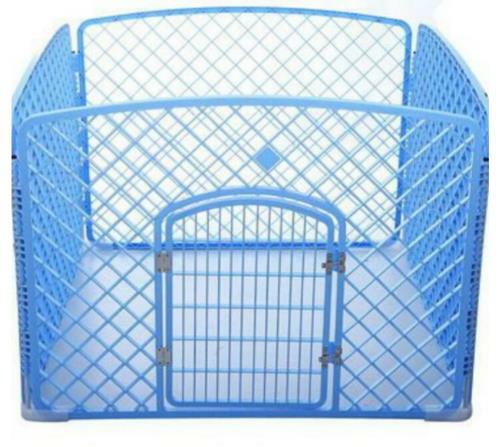 Metal playpens come in L (L94cm x H72cm) and XL (L94cm H101cm). For high jumpers, we recommend you cover the top or purchase XL size.